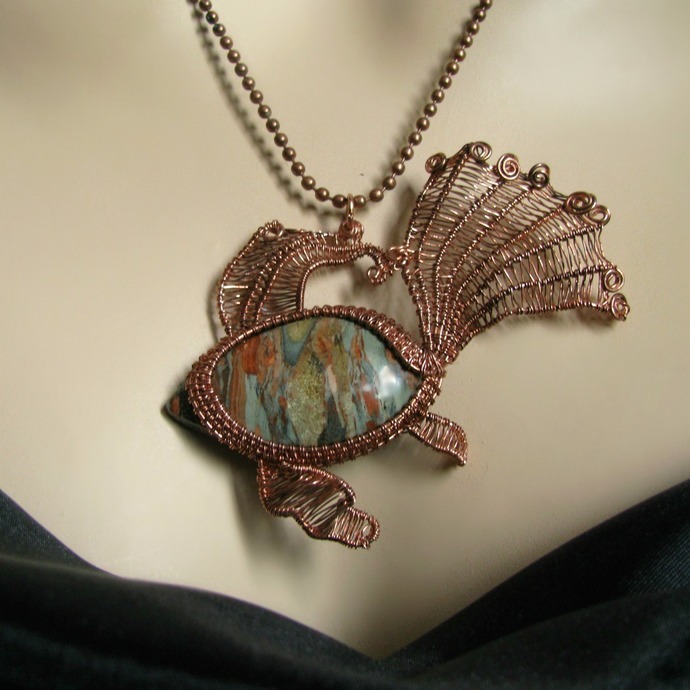 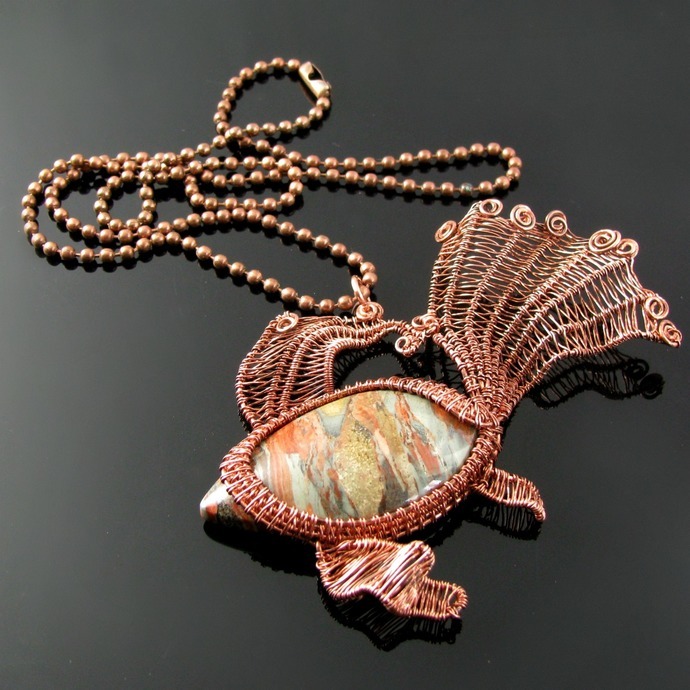 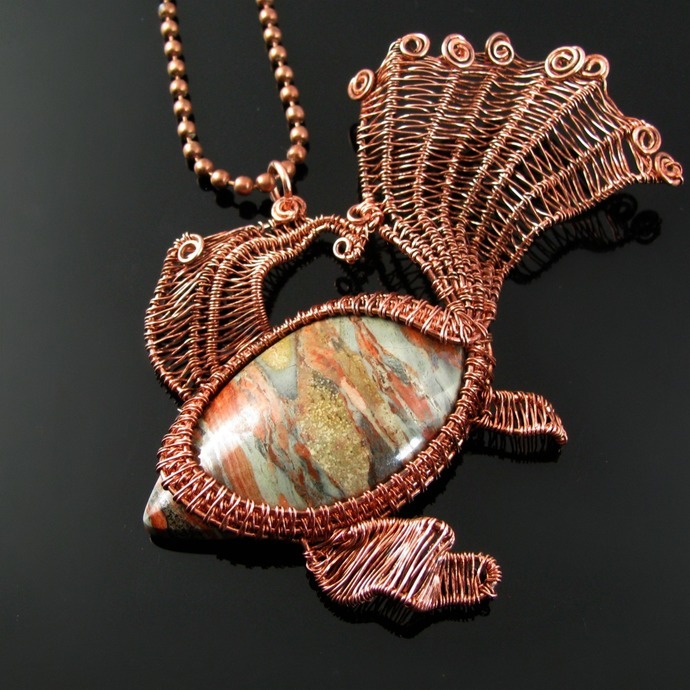 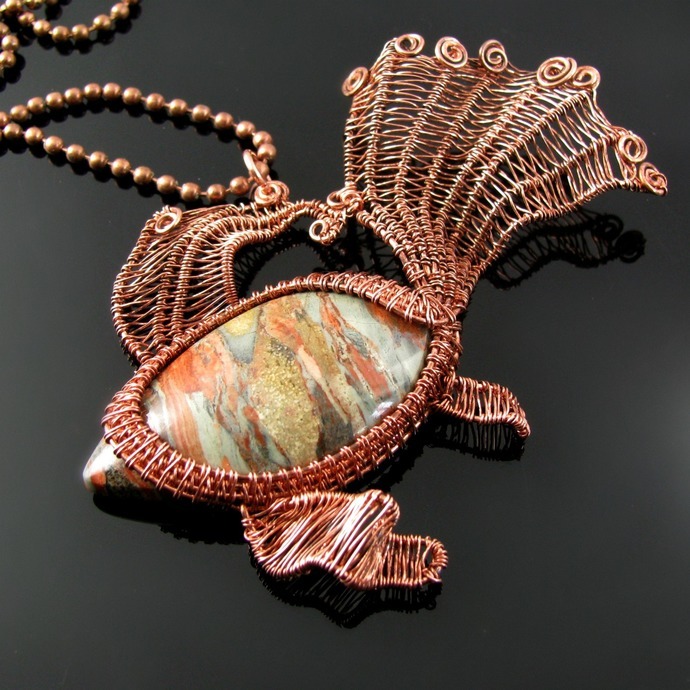 Inspired by fantail goldfish, this one of a kind pendant is woven from oxidized copper wire with a jasper cabochon in amazing and unique colors. 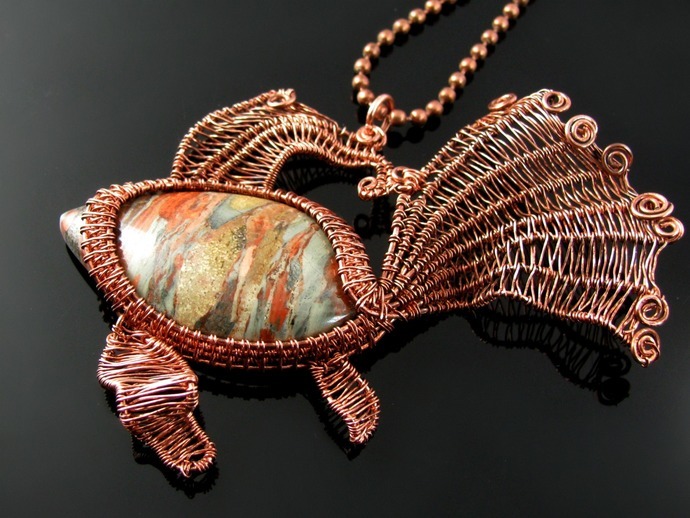 I took care to shape tail and fins in a way to make their flow resemble that of real ones. 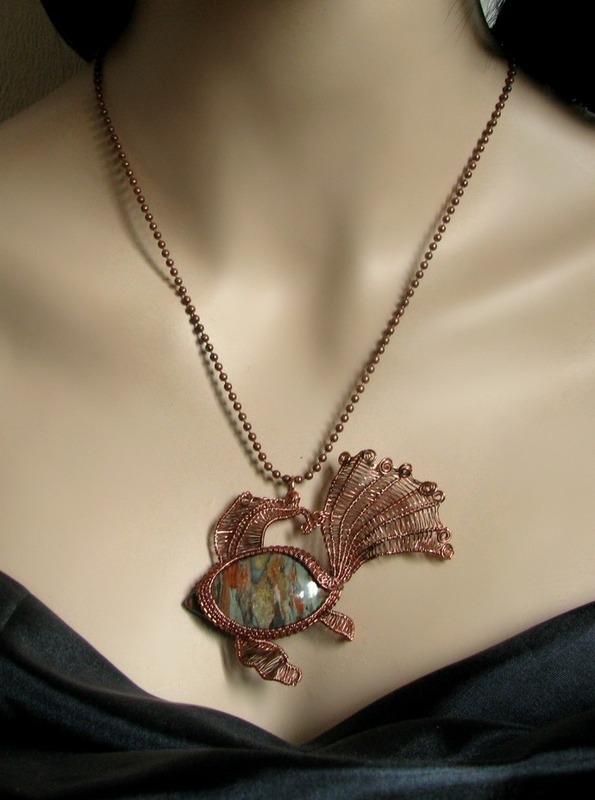 The pendant is 5 cm or 2 inch high and 7.5 cm or 3 inch wide and comes on a antiqued copper tone ball chain.